Every Tuesday I am going to address one specific myth, urban legend, conspiracy theory or piece of pseudo-science. This time it’s about the idea of human multitasking and how your brain handles it. 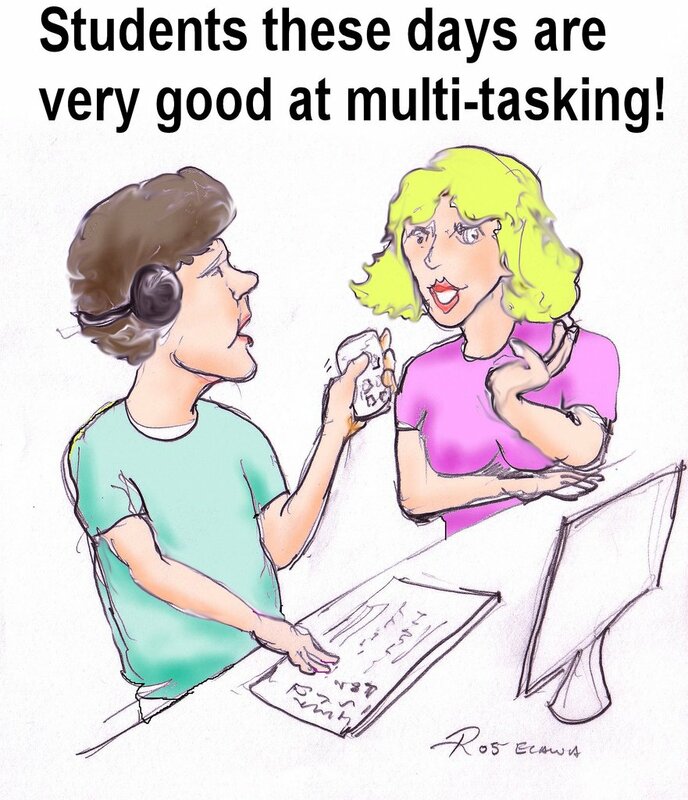 Do you know those kind of people, who are bragging all the time about how good they are at multitasking and that they are so much more efficient in everything they do because of it? I bet you do. And if you are as annoyed by those people as I am, after reading this article you can prove them wrong. It can be understood as the ability of performing at least two or more tasks in the same time-period. This can happen either sequentially (switching between tasks) or in “parallel” by executing tasks in rapid succession (you will notice, that none of it is really simultaneously) (Dzubak, 2008) (1). This definition differs quite heavily from the one most people are used to. They describe this process mainly as “doing two or more things at the same time”. This is, however, not consistent with the available scientific research at this topic and thus I will not use it. After we know now more about the “what”, we can look more deeply into the “why”. Your brain on speed – or not? 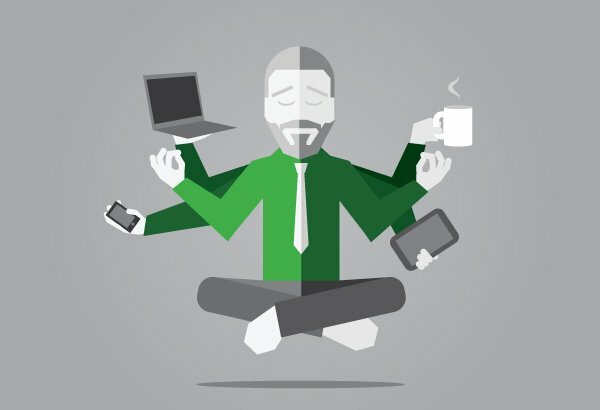 So, what happens with your performance, when you are multitasking? Again, most people tend to think, multitasking increases your efficiency of performing the given tasks. Therefore, it pains me to disappoint you. The available research regarding multitask performance paints an incredibly clear picture of how mistaken the common conception is in the end. Not only is multitasking not increasing your efficiency but actually is diametral to your overall performance. For example, Hembrooke and Gay (2003) (2) were able to show, that students which used their laptops to browse to (non)-course-related-content performed significantly poorer on follow-up tasks. Sure, this would have been hardly surprising, if it were only true for the participants who were browsing content, which was not relevant for the class. But even if participants dug deeper into the topic of class with the help of the internet, it did not lead to better test performance. As soon as the browsing sessions were shortened the overall performance of the students increased as well. It appears to be the case, that the divided attention and the task switching were indeed not beneficial to those who tried it. But those findings hold not only true for class time. In their study about the usage of information and communication technology (ICT) during schoolwork and out of class learning Junco et al. (2012) (3) were able to show similar results. Especially the use of Facebook and texting while performing schoolwork were associated with a negative impact of the overall GPA. Interestingly though, talking on the phone, emailing or using IMs showed no relation to overall GPA. However, the detrimental outcome for Facebook and texting during schoolwork are still there. Junco et al. are explaining this due to the limits of essential processing (4) (making sense of study material) and representational holding (construction of coherent verbal or pictorial representation based on sensory input), because the working memory is struggling to pay enough attention to different stimuli. The explanation, why phone calls, emailing and IMs are not related to GPA score is somewhat difficult. In their study Junco et al. are trying to address this properly with pointing out, that the focus on the “how is a technology used” seems to be a good indicator for predicting GPA scores. The students who use Facebook mainly for collecting and sharing information had better academic outcomes than the ones who used it mainly for socializing. Using emails and searching can be, however, defined as academic work, because the communication with their professors takes place mainly via email. Although phone calls are socializing activities, only very few students actually used them during schoolwork, so the available data is not extensive enough to make a proper prediction. It is important to notice, that it is still impossible to determine the causal mechanism between the usage of ICT and their impact on overall GPA. But at least some degree of correlation seems to be evident. Of course, we are living in a globalised, digital, information-packed world. It is nearly impossible to avoid task switching at all. But there is hope, at least some. You can learn different strategies of dealing with this kind of information overload. To enhance your ability to do this is getting more and more important, because the number of possible distractions is constantly increasing and if unattended, they can be really harmful for your workplace (Dawe & Toms, 2006) (5) or even your health (Speier et al., 1999) (6). Detection – There is a distraction. 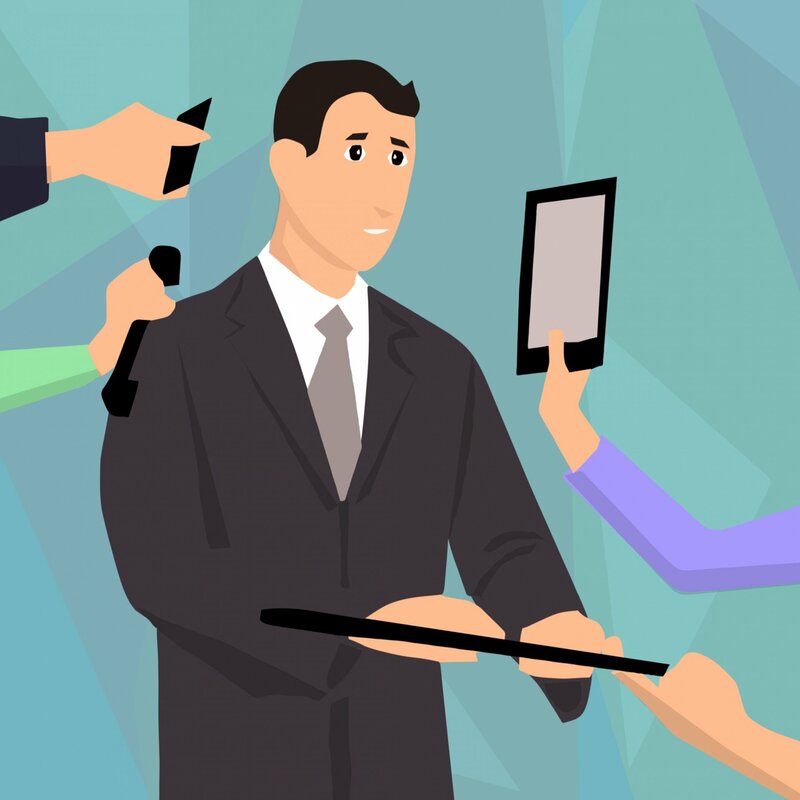 Interpretation – What is the distraction? Integrating – Integrate the distraction into the primary task. Continuing – Keep on working at the primary task. It is, of course, important to notice, that the managing strategy should not be more disruptive than the interruption itself, as McFarlane and Latorella already correctly pointed out in 2002 (7). The findings of the research regarding multitask performance came to not much surprise for me after all. It was kind of obvious, even right now: when I was writing the first paragraphs of this article, I “watched” a Dota 2 stream on my third screen and although I switched back and forth quite rapidly, it took me way longer to write something useful than it should have. This seems trivial but is important to know. The same loss of performance appears not only in (or outside) classrooms and learning situations, but in other tasks as well. There is a good reason, why using a phone and driving a car at the same time is generally considered as a bad idea. The time it takes for switching between those two tasks can be crucial for avoiding an accident and no matter of how well you think you are able to perform in multitasking – you are most probably worse in comparison to sequential tasks. In 2015, Adler and Benbunan-Fich (8) were able to prove, that multitasking is indeed detrimental for overall performance at complex tasks (no surprise here) but can lead to a significantly improved performance when the task is considered easy. So next time, you are bragging about your amazing multitasking-ability keep in mind, this might be only because the things you do are quite easy anyway and therefore it’s not that impressive after all. Feel always free to discuss my ideas and share your own thoughts about the things I’m writing about. Nobody is omniscient and if we all walk away a bit smarter than before, we’ll have achieved a lot. Thanks for reading and stay smart. (1) Dzubak, Cora M.; Multitasking: The good, the bad, and the unknown. 2008. (8) Adler, Rachel F.; Benbunan-Fich, Raquel; The Effects of Task Difficulty and Multitasking on Performance. Interacting with Computers. Volume 27. Issue 4. 1 July 2015. Pages 430–439.